JHS Health and Safety Consultants can help you with all aspects of health and safety at work. We have a service to help you work smart and to meet your legal needs too. We design our service for small and also medium size firms. Good Health and Safety at Work Will Protect People From Harm. The aim of health and safety law is to prevent harm and ill health to people. Where they do occur, firms at fault can be liable to legal claims. Indeed, balanced risk management can make sound business sense. But, there are factors that can impact on good health and safety at work; such as a firm’s size, nature and financial limits. In most construction work, there can be a big mix of physical, and health and site welfare hazards too. A physical hazard can be a site vehicle. While a health and welfare hazard can be work stress. So, a good plan for site health and safety at work is key to help protect people. In other words, work risk needs managing well. 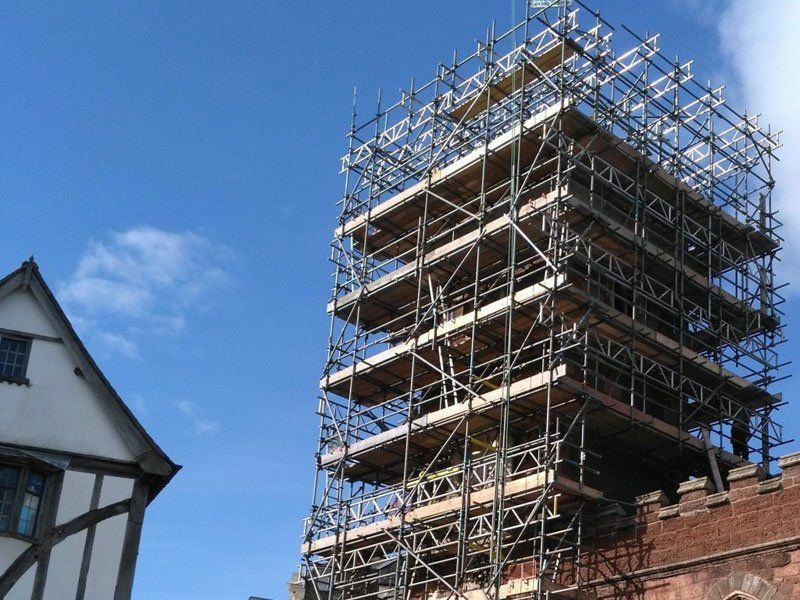 Our service aims to assist scaffold and building firms with their work risks. People in modern times have become used to the ‘blame culture’; and there are many issues. Such as, land, air, water, social, work, and human rights. These affect how people think about and create law. Our law in the UK, as it does for most places, will often start as an international treaty. Then the European Union take in that law. And, at least until ‘Brexit’, the UK then transpose the law into its own. Here in the UK , we have a fair legal framework that supports our laws. And, like it or not, the firms here need to comply with some of those laws. What’s more, at JHS Health and Safety Consultants, we see how they affect people. And, how it can take some firms time to understand and their legal duties, and to act upon them too. It may be a surprise, but in fact there is over 200 years’ history in health and safety at work. But today, the main UK work based health and safety law is the Health and Safety at Work Act, 1974. In 1972, Lord Robens chaired a small committee on health and safety at work; then came the ‘Robens Report’. To sum it up for this purpose, it gave advice that said some laws restrict people too much. And that it would be better to change its style; it should be “goal setting” rather than prescriptive. The report went on, with what turned out to be a shift in the style of health and safety law. It said that people who create risk need to protect others from any harm. The report had a real effect on the UK. In fact, it led the UK to develop the Health and Safety at Work Act, 1974, which became law; on the basis of criminal law. This statute is still the basis for UK health and safety law. The Act places duties on those in most industry; and they must be responsible for their work. The Health and Safety at Work Act, 1974 was the start of a new style to manage health and safety. And the Act allows the UK to make new regulations too. Also, one of the aims of this new law system was to set employer’s goals. E.G. first, an employer is to try and avoid risk from work at height. The Act allows the HSE to create guidance and or a code of practice to support new laws. An ‘Approved Code of Practice’ says what an employer has to do to comply with a Regulation. The HSE of course, will expect an employer to, at least, meet or do better than the standard. 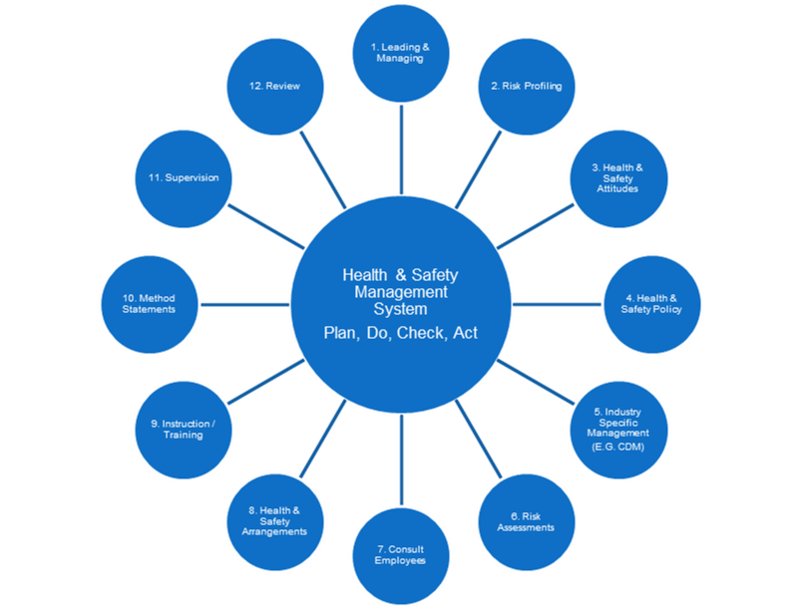 The Health and Safety at Work Act has its main duties set out in Sections 2 to 9. They are general duties. In fact, there is no mention of a specific industry or type of work in these sections. These sections apply to all workplaces; and to people who the work will affect too. What’s more, the Act uses the term ‘so far, as it is reasonably practicable’ to qualify duties in these sections. But what does the Act mean to employers or the self employed? The basic fact is that they will need to control risk to protect people with whom their work will affect. Also, the Act states the extent of the duty to control their work risk. And this is to control their work risk by ‘so far as it is reasonably practicable’ to do so. But this does not mean they take no action if they cannot afford it. There are two kinds of UK law, namely: ‘civil’ and ‘criminal’ law. Both come from ‘common’ and ‘statute’ law. So, what is the point of a legal system? The point is to punish those who are negligent or connive to commit crimes; and to compensate those who suffer a loss. ‘Common’ law comes from many years’ worth of judge decisions. Its legal basis is set on prior case findings. And rulings by judges in higher courts are binding on judges in lower courts. Judges will use the findings of old cases as their guidance. Common law applies to both breaches of statute law and to civil torts too, which are a wrong or injury. A court can impose statute and civil laws to seek what is due for a loss. Or in other words, a ‘double-barrelled’ action. ‘Statute’ law is the law of the land. But, best known as ‘Acts of Parliament’, this written law sets legal standards. The UK can derive new regulation from these Acts. It is a ‘criminal’ act to breach a statute law. And, in some cases, this breach can give rise to civil liability too. ‘Civil’ law is law for cases of negligence; In civil law, unlike statute law, courts will use the ‘balance of probability’ to decide a case. A negligent employer can offset the cost of fines and fees; but only if they have the right insurance in place. That may not be the end as there can be other costs to them too, as we show below. ‘Criminal’ law, is easy to breach; especially if you are employer. It can, and does happen whether they intend to or not. For example they can breach health and safety at work law if they do not assess risk. The Crown will punish a crime by a fine and or a term in prison. A guilty employer cannot insure against a breach of criminal law. In criminal law it is usual that those who prosecute will have to prove that a crime took place; and that it was ‘beyond all reasonable doubt’. But, the Health and Safety at Work Act changes the onus of proof. Instead, the accused has to prove that they have done as the law asks them to do; e.g. the ‘absolute’ duty to comply, ‘so far, as it is reasonably practicable’ to do so. It is hard to say what the exact costs of poor health and safety at work are. Quite simply, there are too many things which vary. This can include the cost of indirect loss; this might be a firm’s loss of business and reputation after an accident. Or, maybe one or more workers will want to find other work. So then the firm will spend time and money to recruit and train new workers. Or even a hike in their insurance rate. We could go on! Some might call it the iceberg effect – Above water, people can see a small part of an iceberg. In water, people will can not see the big part below. But there are many likely plus points when a firm manages to keep up good health and safety at work. What’s more, this does not need to hard work to achieve. So, why not use JHS Health and Safety Consultants as your platform to help you. So, what will be a good business strategy for a firm. Well, there is more to it than just quality and money factors. One might think about the culture of health and safety at work too. It helps if a firm has a positive culture of health and safety at work. The HSE tell us about the make up a firm’s culture for health and safety at work. But, we can sum it up in a few words. They believe it is an outcome of how people view and act to health and safety at work; whether the outcome is a success or not is another matter. But the goal is to have good health and safety performance. And it goes to say too, that if a firm’s workers are not happy, then they’re not going to bother. Health and safety at work is not a physical thing, in terms of something to hold; and some might say it is a state of mind that influences how we think and act. So, given the right help and knowledge, firms can really improve their health and safety at work. Ideally, while at work we can work as one to create a safe culture. A culture where health and safety at work is always on our minds. You could say that it is no more than a good habit to get into. A firm will need to manage its health and safety too if it is to be a real success. It will need to be a part of daily routine and work culture. But to manage health and safety at work in a good way will need certain key skills. These skills include good leadership and making time to hear out the workers when it comes to the work plans. Leaders must plan safe work. And, they must ensure that people are competent to do their work safely always too. A good leader will use their common sense to manage work and make it safe. Plus, they will try to work within the law and keep the work practical too. 1. Workers can be safe, healthy, keen and happy; then, they will make less errors and mistakes, and will up the firm’s output. 2. Workers are not so likely to leave a firm; where they might in a poor climate of health and safety at work. This can save the firm in terms of money and management time for recruitment and training new staff. 3. Without the kind of stress, that the workers did not need, then they are less likely to be absent. And so, it is probable that the firm’s absence costs will reduce. As well as, the stress and fatigue levels of the people who normally cover absence. And, the firm’s work output should improve too. 4. There can be less accidents, incidents, and poor health at work; This can reduce worry for workers and their family and friends. 5. It’s probable, that less damage and repair cost will occur; such as, for van parts. Or, for the cost to look at what went wrong in terms of time and effort. 6. There is likely to be low risk of having to pay for any legal costs, either civil or criminal. This can include compensation payments or fines. 7. It is usual that the firm will keep a good name; not only with its workers, but with clients, its industry and the public too. 8. Another benefit can be cheaper insurance, if the firm can prove that it can manage health and safety well. PLAN: Health and safety policy, planning and risk profiling. DO: Implementation and operation of plans. CHECK: Active and reactive monitoring of health and safety performance. ACT: Review and continual improvements in health and safety at work.